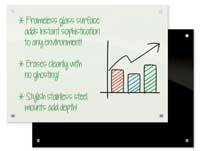 Get low-profile dry erase boards that will stand the test of time when you purchase this ¼inch porcelain markerboard featuring ABC aluminum trim. 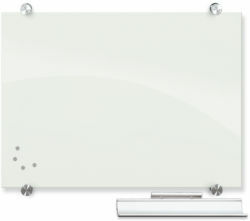 The porcelain steel whiteboard has long been the top choice for dry erase boards due to the surface?s durability and superior display. At just ¼ inch thick, this markerboard features a slim-frame design that ensures a sleek profile wherever you choose to mount it. 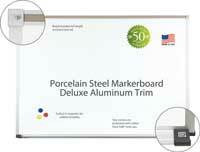 The ABC aluminum trim also offers added durability and creates a clean line around the porcelain marker board?s edge. Best of all, DryEraseBoard.com offers an incredible 50-year guarantee on scratches, stains and ghosting. 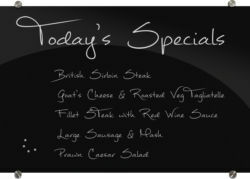 By choosing a porcelain steel whiteboard, you?re ensuring that you?ll be able to use your board for decades to come with little-to-no wear and tear. 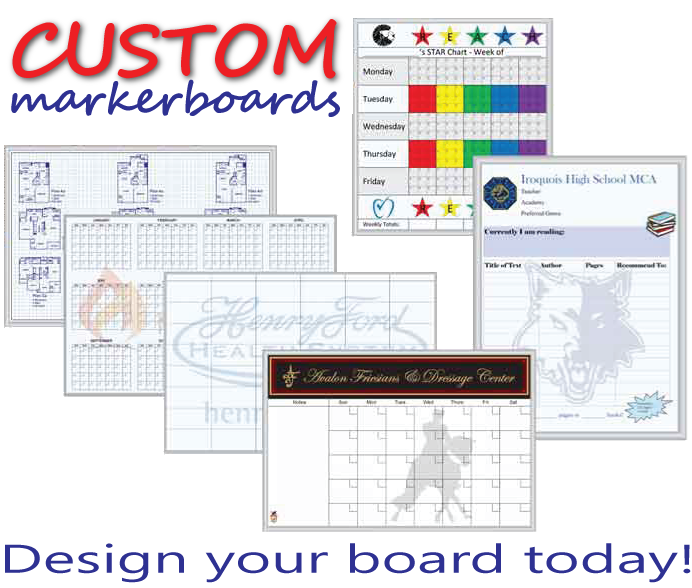 This ¼-inch dry erase board comes with a medium density fiberboard (MDF) backing that makes the board more stable for long-lasting use. But this board isn't just durable it's also the best choice for a crystal-clear display. It is easy to erase this porcelain white board to create a clean, white surface time after time. In addition, the surface enhances your presentations by offering top-notch color contrast and reduced light distortion. The result is a clear, brilliant display that won?t cause eye strain for your viewers. 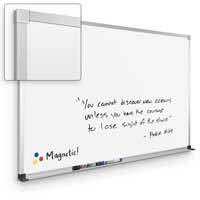 Choose this ¼inch porcelain markerboard featuring ABC aluminum trim from DryEraseBoard.com when you want guaranteed quality. This whiteboard has a Class A fire rating, is TAA compliant and is GREENGUARD GOLD certified. Combined with the 50-year guarantee, this is one of the safest and most reliable markerboards available. Order yours online today or contact us to learn more about this unique product.